The brother of a victim of the Kingsmill massacre has accused Sinn Fein’s Barry McElduff of a “lack of decency” after the council candidate claimed that he took an undeserved hit by resigning as an MP over an online controversy. 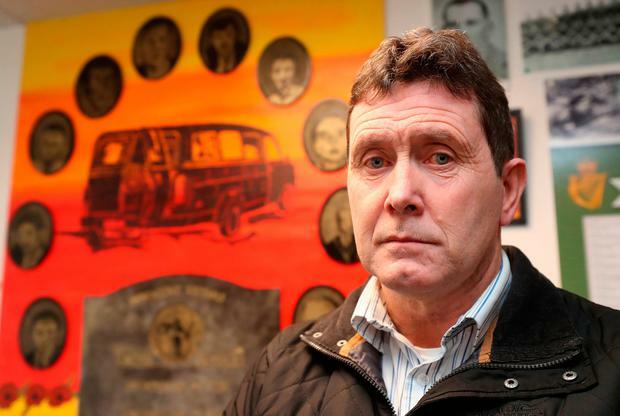 Colin Worton, whose brother Kenneth was one of 10 Protestant workmen murdered by the IRA in 1976, also slammed Mr McElduff for seeking sympathy in order to make a political comeback. “I’m not surprised that he’s playing the victim,” he said. 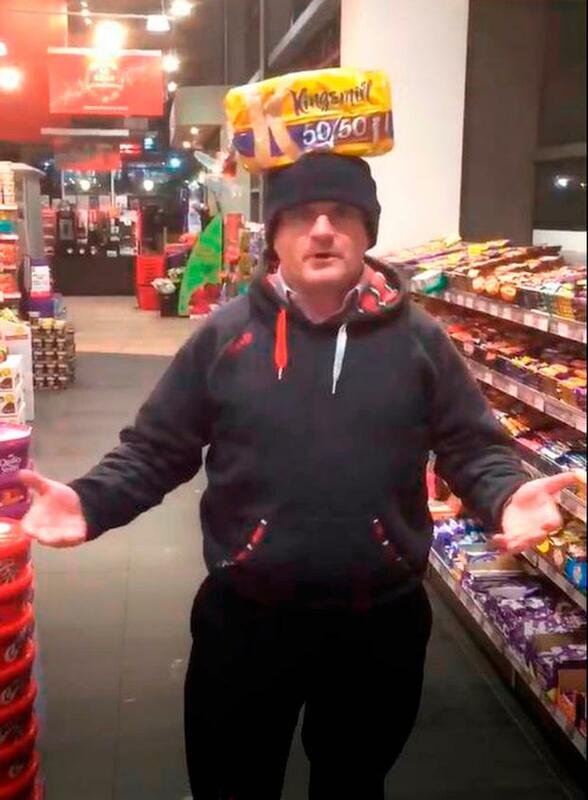 Mr Worton was speaking after Mr McElduff suggested it was unfair that he had to quit as West Tyrone MP after posing with a Kingsmill-branded loaf on his head on the 42nd anniversary of the massacre in January 2018. The Fermanagh and Omagh District Council candidate opened up to a local newspaper about his desire to “re-emerge” following a difficult year. “It’s been a very challenging personal experience but I’m trying to show character and resilience by returning to make a political comeback,” he said. In the interview with the Ulster Herald newspaper, Mr McElduff claimed that many of the residents he has encountered on the campaign trail have offered him quiet encouragement. “Nothing is noisy, nothing is brash, nothing is loud,” he added. Mr Worton, whose brother is believed to have shielded a Catholic textile factory colleague after their minibus was stopped by gunmen in the brutal attack, expressed disappointment last night. “We believed he meant what he said when he apologised and we thought he did the right thing by resigning, but obviously his decency is only from the tooth out,” Mr Worton said. “He hasn’t learned his lesson at all. Mr Worton also expressed frustration with the leadership of Sinn Fein. He said: “I believe he got a nod and a wink from the hierarchy within the party. Mr McElduff maintained he has taken responsibility for his actions. He has always said the video posted on Twitter was a joke which had caused “unintentional” offence. In November, Northern Ireland’s Public Prosecution Service decided not to prosecute Mr McElduff due to insufficient evidence. Last night Mr Worton said his elderly mother Bea (92) – who revealed details of disturbing phone calls in the wake of the scandal – never believed Mr McElduff would stay out of the spotlight for long. “She’s lived a long life and is never surprised at what Sinn Fein is capable of,” he said. 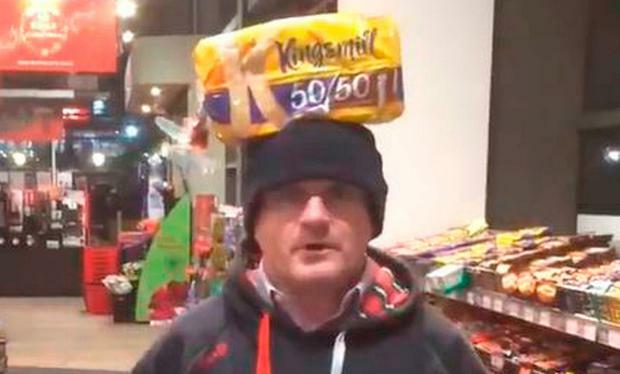 The pensioner previously said she was “hurt to the back bone” over Mr McElduff’s behaviour, following dozens of nuisance calls to her house by anonymous people asking for 10 slices of Kingsmill bread. Mr Worton said he is baffled how “any ordinary decent Catholic” could empathise with Mr McElduff and he appealed to them directly to reject divisive politics at the ballot box next month.